Part 1: I believe that the word apostle does not primarily mean Scripture-writer, or more specifically, apostle does not equal New Testament writer. Now this might sound simple and easy. We see that many of the twelve did not author Scripture and there were others who wrote Scripture that were not apostles. But there is still a common argument amongst even theologians that the apostles were the authoritative Scripture writers of the New Testament. Thus, since we don’t have Scripture to write anymore, there are no longer apostles. But I believe this thinking – apostle equals New Testament Scripture writer – can be a confusing connection when considering what an apostle is from a holistic point. Not only that, but if we intrinsically make revelation and authority only connected to the apostles, then we have to walk down the full line that says God no longer speaks and gives revelation today. But I believe this does not hold up. While Scripture encapsulates the full redemptive revelation that is summed up in Jesus Christ, and this Scripture was authored by specific apostles and other individuals who had a unique role in the early church, it does not contain all revelation from God. Our God has spoken outside of Scripture and always has. I also look at this more here. The scope of the apostolic ministry is much wider than tying it down to Scripture or something that was only needed for a certain period of time. I’ll share more in the next post on what apostolic ministry is about, though I have hinted at it before. Part 2: This article addressed the idea that Jesus physically hand-picked and chose all apostles. Not that Jesus had to physically touch them on the shoulder (though touch was probably involved in the Jewish culture), but that Jesus had to physically-verbally pick those he wanted as apostles. Therefore, it is argued that, because this physical choosing can no longer happen, apostles can no longer exist. Yet I believe this is a misunderstanding of passages like Acts 1:1-3 in their original context. I am convinced Jesus is the one who selects and gifts people with apostolic ministry (i.e. Eph 4:11-13). But this selecting and gifting by the great apostle himself (Jesus, not Paul) has still been available for 2000 years, sense he did well to send a Helper of the same kind in his place to continue his apostolic work. Part 3: This article is really connected with part 2. Most people will argue that, to have been an apostle, one must have received a post-resurrection appearance. Since Jesus is no longer making physical appearances to people, then he is no longer choosing people to serve in apostolic ministry. But I believe this is a misunderstanding of two central passages – Acts 1:21-22 and 1 Corinthians 15:3-9. If we read these two passages carefully and think through the ramifications, a post-resurrection appearance is not the requirement for apostolic ministry. Part 4: The last part centres around the biblical teaching that apostles (and prophets) are foundation layers, as shown in Ephesians 2:20. And because a foundation is only laid once, never to be laid again, then apostles (and prophets) are no longer needed to fulfil this role. In this article, I shared three reasons why I believe this Ephesians verse is also misunderstood. The final objection that I would like to consider is this: Following that first century and with the death of John the apostle, no church father has ever referred to the existence of apostles. No one. The church has always seen this ministry ceasing with the death of John. I believe this is an objection to faithfully consider. We need to ask why church history does not touch on apostles existing after the first century. Of course, the reason why we might browse the writings of church history and find no mention of post-first century apostles is because the fathers of our faith believed the other four objections that I have mentioned in my other articles (plus other probable objections that I have not addressed). Now, the easy card for an evangelical to pull out is this: We don’t measure our faith and beliefs by tradition (or church history) but by Scripture alone. Remember the cry of the reformers – sola Scriptura. Scripture alone is the measuring stick for our faith, not tradition. And, you know, I could easily pull that card and walk away with a smirk on my face as if I defeated this objection with ease. But it isn’t always that easy, though we wish it were, right? I believe in a healthy respect for church tradition because I know I probably would not hold to quite a few essential orthodox beliefs apart from the creeds and teachings of the early and latter church fathers. Things like the Trinity, the co-existing natures of Christ as both divine and human, the personality and divinity of the Holy Spirit, etc. Of course I believe these can be helpful summaries of the teaching of the biblical text. But it was the church fathers who really laid these teachings out in a more precise manner. We owe a lot to their lives and ministry. So, again, I could pull the sola Scriptura card as my defence. But, again, it’s not that easy. I could also pull out random pointers that a few people have been referred to as apostles at varying times, i.e., William Carey was referred to as the ‘apostle of India’. But I am not sure that such a statement encapsulates what I believe Scripture teaches about apostles. More than anything, the statement about Carey probably referred to his exceptional missionary status amongst the Indian people (which is part of apostolic calling, but not the only piece). I have yet to be able to read lots of church history, though I do want to engage more of it. But I suppose our church fathers held the term apostle in a way that limited it to the first apostles. And those first apostles were very important, no doubt about it. So, can I explain it all and box it into a nice and neat package for our cognitive understanding? Not really, which sounds a defeat in the midst of modernist apologetics to prove one’s point. I can’t just quote a few passages and paste it all together into an understandable theological system. I even think I could borrow some arguments from cessationism, but I’m not sure it’s that easy either. I could move my own pendulum and argue that the ministry to teach (and write) authoritatively was invested only in the apostles and this was only for the first century church as it was being established. Therefore, this is no longer needed. But the package is not held fully together when we look at all the ‘evidence’, for we’re not really sure what kind of authority some of those first apostles held (in a practical sense) and that quite a few others outside of the 12 and Paul held strong authority, even some who were not apostles. Even Paul recognised he had specific authority and influence, and did not want to step into other people’s arenas (check out 2 Cor 10:13-16). To be honest, it’s all hard to juggle and maintain a very neat package to produce for the appeasement of our questions. Again, I’m good to recongise the authority invested in that group of 12, in Paul and in a few others that were supposed tight associates of the first apostles. Non-apostles like Luke, John Mark, Jude, and maybe the author of Hebrews, had accountable relationships to the first apostles. They probably didn’t turn in a rough draft of their writings to the apostles before sending them out. 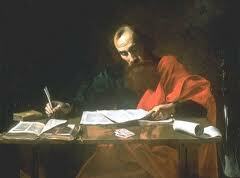 But they were not writing as absent-minded people with no solid basis in apostolic teaching. So these people had a special ministry. And I am very good with that. And the authoritative, redemptive revelation in Jesus Christ and the new covenant has been completed. There is absolutely nothing, I mean nothing to add to its completeness. Hence, we don’t really need anything added to our measuring stick, the canon of Scripture. But, I believe God is still speaking authoritatively today. He was doing it even while Scripture was being written (from Genesis to Revelation). I believe he’s been doing such for 1900 years following the death of John the apostle, and I’ve seen him do it today. Yes, yes, I know. I am being subjective. And, yes, I know, you are too. But I am up for judging what we believe God is speaking today by what he was already affirmed as his God-breathed revelation in Scripture. And I am up for responsible leadership (and the whole body of Christ) weighing the words spoken – whether direct prophetic utterances or authoritative teaching that cuts like a two-edged sword. This is where our debt is owed to those first apostles and their associates. They gave us God-breathed revelation to stand as a measuring stick for any subjective sense of God speaking today. But I also affirm that Scripture does not teach that apostolic ministry would end at the death of John or sometime around there. Really, the best we can do is formulate a systematic theology that helps us conclude that apostles no longer exist. I am not ridiculing such a practice, as I we all employ systematics in some measure. But I believe the system of theology that says apostles no longer exist has holes and questions. And those holes cannot be filled and those questions cannot be answered by the system nor by the Scripture. It just can’t. And, I would be arrogant not to recognise that I have holes and questions in mine as well. But I want to be honest and authentic and say that I have them and cannot gloss over them as non-sense. And believing God’s revelation continues to have a dynamic nature to it, and is not to be seen as static concrete, I am ok that I cannot put a band-aid (plaster for Brits) over the questions and holes as if they aren’t there. But I also know that what I believe (as I have mainly espoused in the past articles) is not some hokey-pokey, off-based theology. I’m looking at Scripture, I’m thinking this through theologically (even the holes and questions that I cannot answer), I’m testing it against the objections that come my way, I’m staying accountable to those in my life. Church history does not largely attest to the existence of apostles today. Maybe I’ll go searching one day and find a handful of quotes from Irenaeus or Ignatius or Augustine or whomever to help support such a case. But I’m not too bothered if I can’t. Not because I’ll pull out the sola Scriptura card as my trump card, but because I think I have to still be honest that there are questions out there of how this practically works out. And oh I wish I could just put it in a ten point outline and it satisfy mine and your questions. But it won’t. One question still rings like this: If you believe in apostles today and take that belief to its full extent, then you should allow for people to carry the same authority today as a Paul or Peter or John had. Interesting question to consider. But it doesn’t scare me, though it might scare others. But I believe that, though church history is majorly silent on this issue, or even giving a negative attestation to the existence of such a ministry, I think apostolic ministry continuing today is a very valid understanding of God’s purposes in Christ, his Spirit and his body. A more valid option than the opposite. It would be easier to pass on the apostle terminology and at least just stick with the terms prophecy and prophet. But I believe apostles and prophets are distinct ministries from one another. Goodness, I didn’t answer much in this article other than to point out that I’ve got holes and questions to always consider. And I think the church has been doing that for some 2000 years. Still, I know what I have seen and I know that what I have seen does not undercut God, the nature of his God-breathed word in Scripture, nor the authority and ministry of the first apostles and their associates. But I cannot deny that I have seen – in Scripture and life – the work of foundation-laying, equipping, workings of power and authoritative ministry in apostles today. And I am so thankful that the handful of apostles I work with have no ego trip. You don’t know their names and they don’t want to be plastered on television. They just get on with the ministry God has given them. It kind of mirrors that one apostle….what was his name? Oh yeah, Jesus. The objections have come and they are very worthy of consideration. And I will still have to consider them tomorrow and twenty years down the road, with new ones surfacing and old ones resurfacing. But I am confident that the great apostle, Jesus, meant for his apostolic ministry to continue until we reach the unity of the faith and the knowledge of the Son of God, being that mature and pure bride he is preparing us to be (Eph 4:11-13). My last post will be sharing some points on what I see apostolic ministry being mainly about.